Home > Why Our Turbochargers? 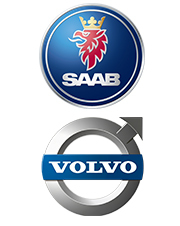 for over 20 Years, SWEDISH DYNAMICS has been supplying customers, dealerships, and independent repair shops, what our experience proves as the most cost effective route taken when in need of a SAAB or VOLVO turbocharger replacement with the installation of our cartridge/CHRA replacements! We have built a reputation for providing a vast experience relative to your turbocharger application with a focus at providing the best USA manufactured premium quality product, unsurpassed customer service, and extending all new turbocharger replacements with a full year, unlimited mileage, warranty! Our USA manufactured cartridge replacement turbochargers have been proven by SWEDISH DYNAMICS, INC. for over 20 years, and we only provide genuine manufacturer components for unsurpassed integrity plus a greatly increased longevity. Beware of low cost "Aftermarket" options, now available, which could never offer the same integrity, or service longevity, as our genuine manufacturer replacements! SWEDISH DYNAMICS, INC. has built a strong rapport in the turbocharger replacement industry and our quality is unmatched! 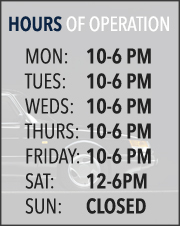 Additionally, we ship many of our products from our CT location which allows for an incredibly fast turnaround times for New England shops or customers! Repair/Service shops would receive a "Jobber" discounted pricing rate and should contact us by phone at 203-791-8826 for details.